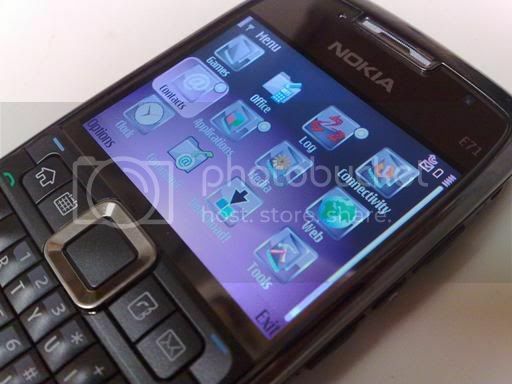 After reading this article be sure to visit the themes section for a list of all Nokia E71 themes featured at this blog. Scratch proof your E71 and gadgets, buy the invisibleSHIELD screen protector. The theme master Bandez is quickly becoming one of my favorite. He has a very unique icon pack which takes the default themes and enhances them. 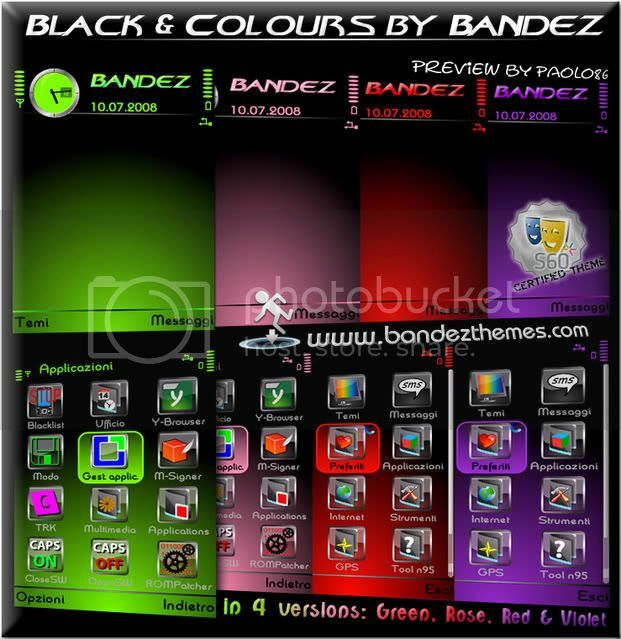 This theme "Black and Colors" comes in red, purple, green, pink, and recently added yellow. Right now my girlfriend is using the pink theme pictured above on the E71 and I assure you the green or yellow theme look great. Click here to download this free E71 theme, make sure you grab the 3rd Edition version. For the yellow version you gotta search his homepage because it's a separate post. Hi i downloaded the theme and it looks great, BUT i have a problem. My music player no longer detects my music file (although I can still find them in my folders) - it says 0 files even after i tried refreshing time after time. Any idea waht's going on? How do I install the theme to my phone? LOL I'm new with this, anyone help me please? does anyone here know what version of opera mini is needed for nokia e71 to have unlimited access to internet/web surfing/chat email etc. using the globe sim card? guys, could you please help me?